What an honour it was to get to spend the best part of day with this guy, British chef Heston Blumenthal. The man's a gastronomic genius, to be sure, but mostly I loved his passion, his fascination for food and invention. This is what is taking him to the stars (literally, he's doing space food), and what makes him one of the most exciting chefs out there. My interview ran as a cover story in Sunday Stylein December. 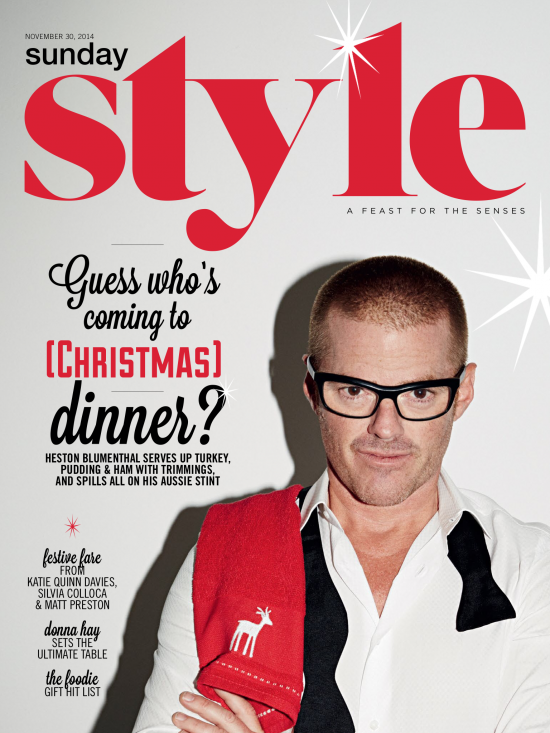 You can download the full story here to find out why Heston Blumenthal is moving to Australia, what's next, and what happened when he chased debt collectors away with a meat cleaver.